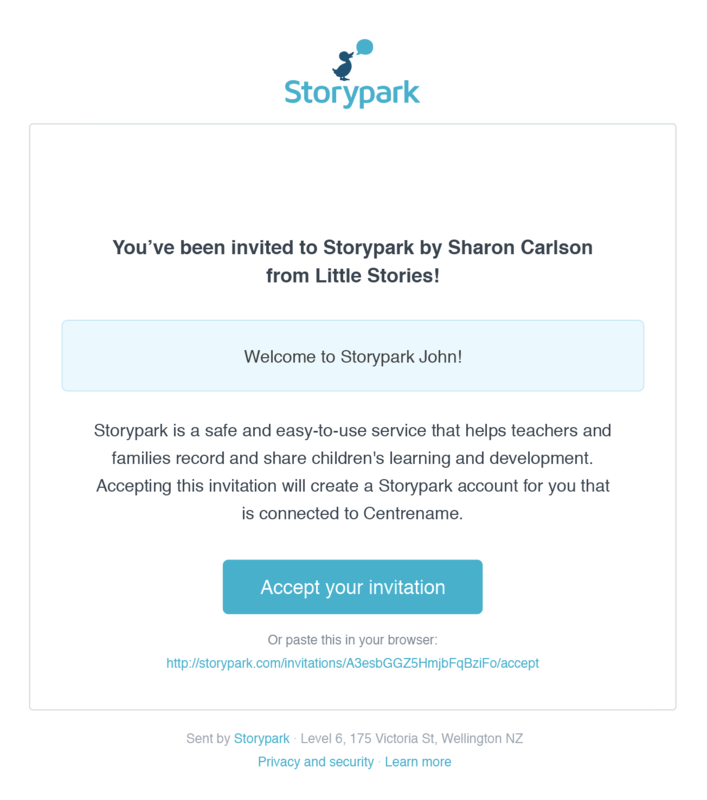 If you have received a Storypark invitation by email, it means someone you know (either a teacher or close family member) wants to share a child's stories and learning with you. 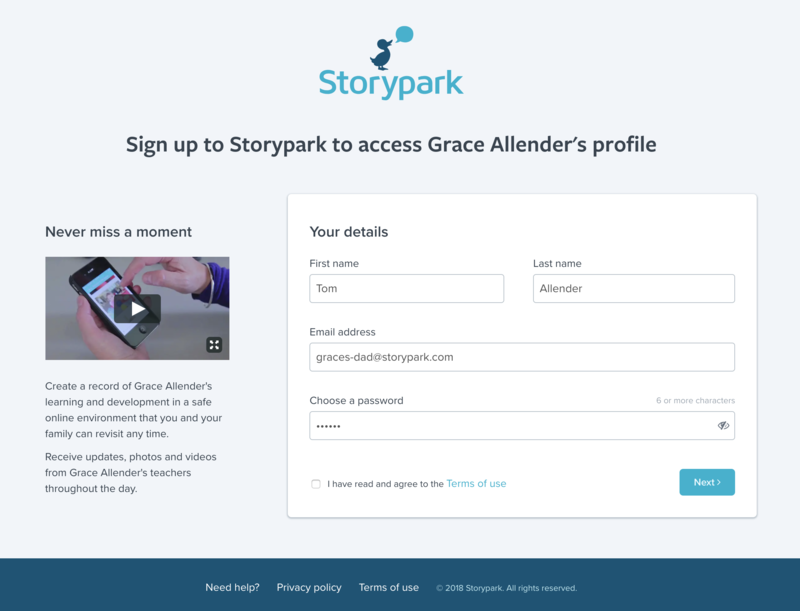 Click the blue 'Accept your invitation' button in the email and you’ll be taken to a simple 'Sign up' page where you can enter your name, and choose a password. Please choose a password you will remember but that is difficult for someone else to guess. Clicking 'Next' will take you to a consent form where you're shown a summary of important issues associated with privacy and behaviour to which you are required to give your consent. 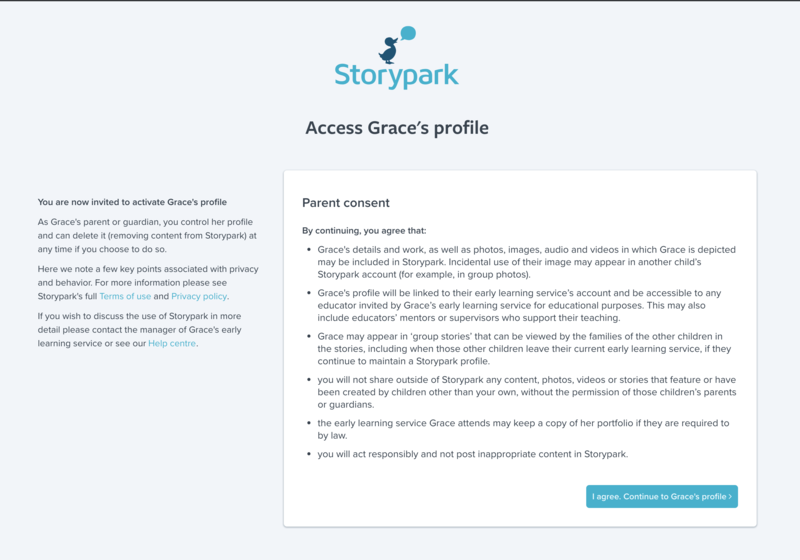 Once you've agreed to the consent form, you can access your child's stories, leave comments, create your own stories and invite family members. Please make sure you accept the link in the email rather than signing up yourself on our website. 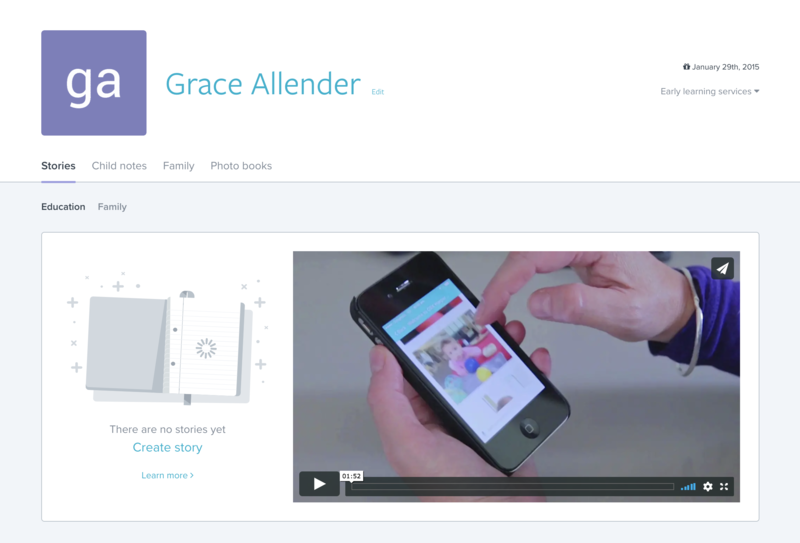 If you sign up any other way your account will not be linked to your child's profile.